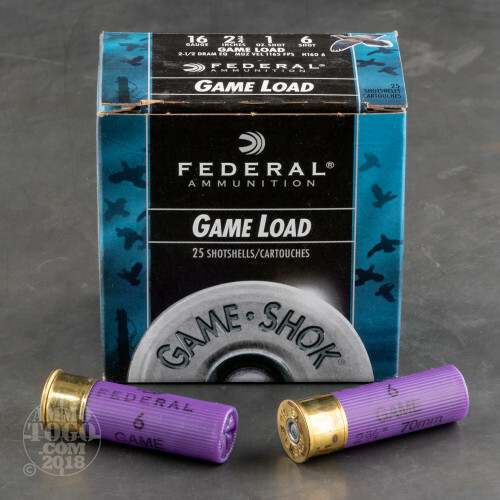 This is 16 Gauge Federal Game-Shok 2 3/4" 2 1/2 Dram 1oz. 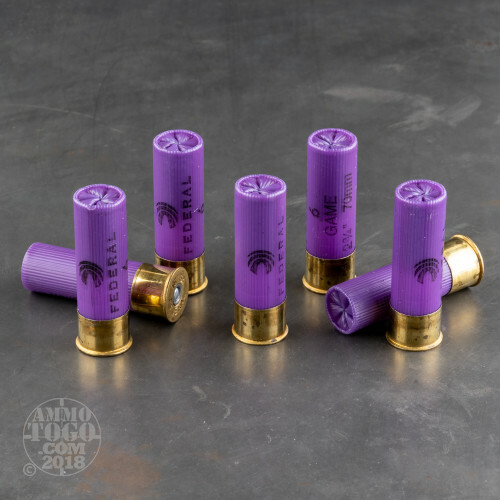 #6 Shot Ammo. 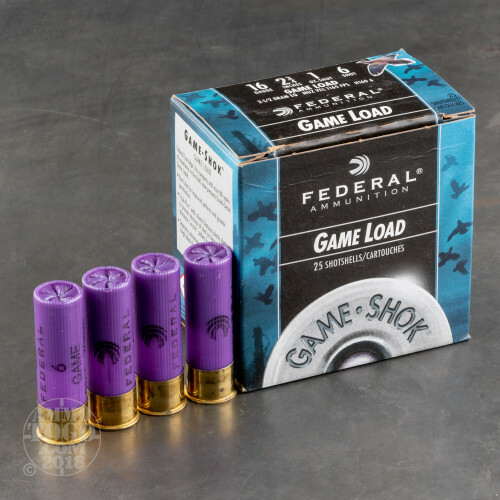 This is a quality upland game shotshell at an affordable price. 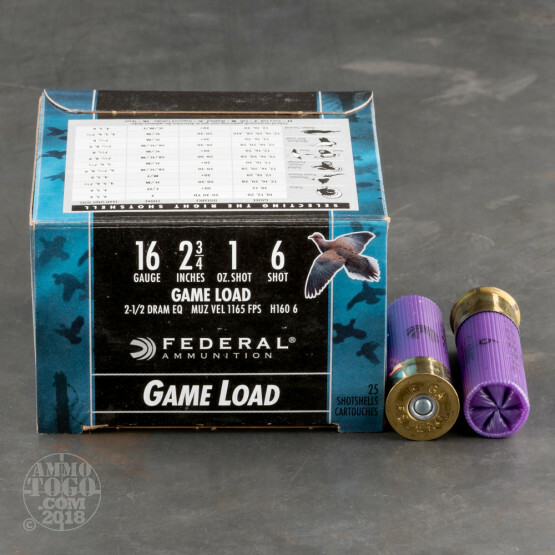 This hi-brass load has a muzzle velocity of 1165fps. and provides superior performance on your favorite small game. Comes packed in 25rds. per box and 250rds. per case.